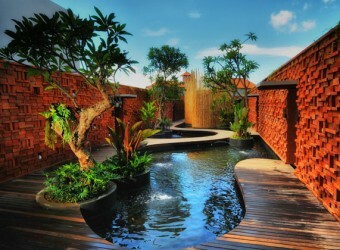 Bali "Taman Air Spa", a water paradise is open on January, 2012 on Sunset Road in Kuta with a bar and a cafe inside. Their recommended course ; Facial using a French cosmetic brand, Thalgo makes your skin moistured, smoother and refreshed! 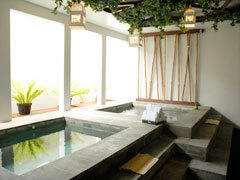 Free use of the jacuzzi which 8 people can take at the same time is available to warm up your body from inside. A cosmetic, Talgo is produced in 1966 by Thalgo institute with their original skills and used at spa all over the world. 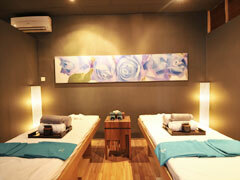 There are 3 spas including Taman Air Spa which has treatment using Thalgo products in Bali. The products have well-balanced minerals, protein, vitamin, amino acid and so on to make skin the most beautiful and healthy condition following their concept "Health & Beauty". Thalgo treatment based on medical science can provide skin mineral in the sea water effectively. 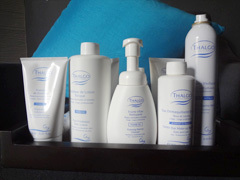 Facial Menu with Thalgo products is especially recommended at Taman Air Spa. 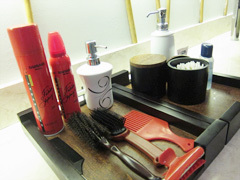 Those various kind Thalgo product using at Spa salon in Japan too. 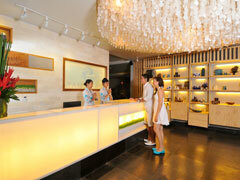 It is recommend especially facial menu by Thalgo product which offer at only 3 spa in Bali including Taman air spa. HIRO-Chan Only! 3 Special Bonuses!! They have 2 large jacuzzis, one for men and the other for women which 8 people can take at the same time! 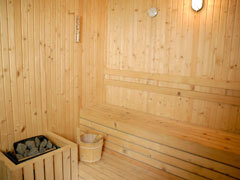 It is a perfect way to warm up and relax your body! If you book over 2 hours packages, use of sauna and shower, menities (shampoo, body soap and conditioner), fruits and juice will be included! By bookin total over 3 hours treatment for one person, upgrading from a regular treatment room to a deluxe room with a private jacuzzi is available for free! Fruits and juice are included as well! By bookin total over 4 hours treatment for one person, upgrading from a regular treatment room to a VIP room (Rinjani or Laksmi) with a private jacuzzi and a gasebo is available for free! Fruits and juice are included as well! Traditional Massage is using oil and long stroke massage technic. It works for titen body and less stress. 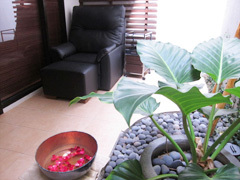 This Combination treatment with 3 hours complete rejuvenated your body, mind &smp; soul whilst enjoying a wonderful holiday on the island of God, Bali. Treatment would be start with Royal Traditional Foot bath, follow by having one hour Bamboo Massage, Hair treatment and traditional facial. Foot, Body, Face, Hair all in one 4 hours package treatment. Let's refresh before your holiday in Bali! How about take off fatigue on the first day or last day in Bali. In this course, you can have massage treatment and Indonesian dishes, it is the perfect course for first day and last day. It is required to pay the fee via bank transfer to our bank account 7 days before the departure. We cannot accept booking it if your departure date to Bali is less than 7 days. 3hours Package for flight fatigue! HIRO-CHan original package!! ★HIRO-Chan Only★ Treatment Room can be upgraded to VIP Room! 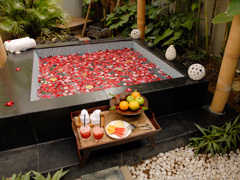 This Balinese massage including traditional Javanese massage, honey&milk mask for smoothe skin. After that private jaccuzi for relax then manicure and pedicure included. 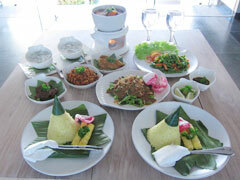 It is the perfect course for first day and last day in Bali. Re‐balancing for oily and combination skin. This facial works to deeply cleanse and purify. This anti‐wrinkle facial will stimulate the skin’s renewal process and improve skin tone to give. This facial is designed to relax and deep cleanse, leaving your skin soft and hydrated. The facial begins with a thorough cleansing, followed by a facial scrub, facial steam, massage, mask and a moisturizing treatment. This deep‐cleansing aromatherapy facial is designed to nourish and refine your skin, rejuvenate your face, and melt away any tension in your jaw, cheeks and neck. The essential oils will help you to completely relax, while the antioxidant vitamins will protect and treat the cells to produce a radiant complexion. This soothing cooling treatment will refine the delicate eye area, diminishing fine lines and improving elasticity while also reducing dark circles, inflammation, and puffiness under the eyes. Bali is a major producer of seaweed, which is harvested for export, especially to Japan. The high quality seaweed from Bali has unique characteristics and is most widely used for the manufacture of cosmetics in Japan and other Asian countries. 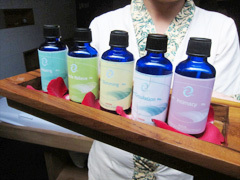 The traditional Balinese technique of firm finger and palm pressure as well as long stimulating strokes is performed with your choice of relaxing essential oil. This massage will ease body tension, release stress and invigorate the senses. Enjoy a delightful spa experience that combines traditional massage techniques with heated stones positioned strategically over the whole body. The handpicked, sedimentary stones are well‐known generators of positive energy and harmony. This massage will achieve deep relaxation of the muscles, while also relieving stress and tension. Inspired by the Thai massage, the yoga massage uses passive stretching and gentle pressure along the body’s energy lines to increase flexibility, relieve muscle and joint tension, and balance the body’s energy system. Yoga massage is deeply relaxing yet also uplifting and energizing. This unique treatment begins with an oil‐free acupressure massage to improve blood circulation and alleviate muscle tension. Steamed herbal pouches filled with lemongrass, ginger, galangal, lime leaves, cinnamon, cloves, and more, are used to improve your immune system, aid removal of toxins and release tense muscles. Massage by 2 Therapist. Improve blood circulation and relaxatio for you body. Jimbaran, Nusa Dua, Benoa, Kuta, Legian, Seminyak and Kerobokan areas from over 2 people and Sanur from over 4 people are free. Ubud area required additional Rp.250,000 (one way/car). A single guest needs additional Rp.750,000 to all the areas (one way/car). Transfer to the airport is available. Children under age 12 can wait in the lobby or the treatment room. 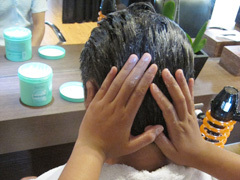 Spa menus are available from children over age 13. 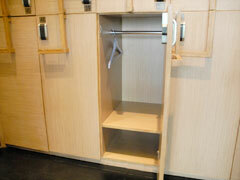 All the menus includes welcome drink and cold towel at the beginning and herb tea after treatment. 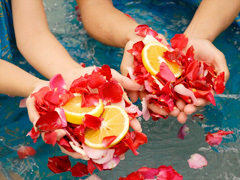 Spa packages also has fruits. I could relax because the treatment was done in the private treatment room. I was also extremely satisfied with the price. I don’t know the effect of the pores after facial but I get smooth and glowing skin now. The next day make up sat well.